Home/What is Lean Six Sigma, Anyway? Lean Six Sigma makes doing more with less a reality for organizations. It takes organizations to the next level by focusing on activities that add value and eliminating activities that waste time and resources. It is about finding solutions that are the right fit for your organization and developed by your own people. Lean Six Sigma is a management approach to solving problems and improving processes. It combines two methodologies: Six Sigma and Lean. Six Sigma is a statistical approach to reducing defects and improving quality by removing as much variation as possible to make a process nearly flawless. The statistical form of 6σ literally means 3.4 defects per 1 million opportunities, which for all intents and purposes means perfection. Lean, on the other hand, reduces waste by streamlining a process to bring efficiency and capacity. By improving the forward flow of a process and reducing wait time or backward movement, Lean speeds up the process—thus achieving ultimate efficiency. Together Lean Six Sigma brings efficiency and capacity to an organization without sacrificing quality. Principles of Lean Six Sigma date as far back as the 18th century with early pioneers including Eli Whitney and Henry Ford; the methodologies have evolved over time with applications by the more notable Toyota and General Electric. (We highly recommend reading information on the Toyota Production System for more background.) These principles have become second nature to the manufacturing industry as a proven management tool. However, Lean Six Sigma also has many applications beyond manufacturing. Organizations in the professional services (including our firm), construction, healthcare, government, nonprofit, and higher education industries have adopted a Lean Six Sigma culture. Lean Six Sigma is not about employee layoffs. In fact, with new capacity gained, those employees can be redirected to take on new responsibilities to lessen the burden on other employees, fill roles that could have only previously been filled by hiring new employees, or take on new strategic initiatives. 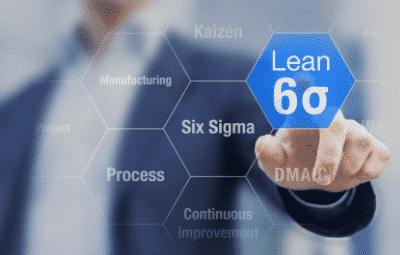 If you have questions on the application of Lean Six Sigma to your organization or how to start, contact our Operational Excellence Team for guidance and more information. We are committed to helping our clients improve their operations and grow their bottom line by redirecting their resources to the things that matter most.